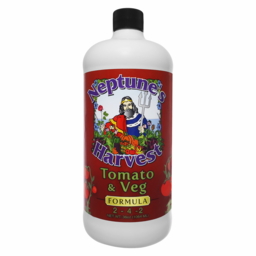 Introducing Neptune’s Harvest “Tomato & Veg” formula. 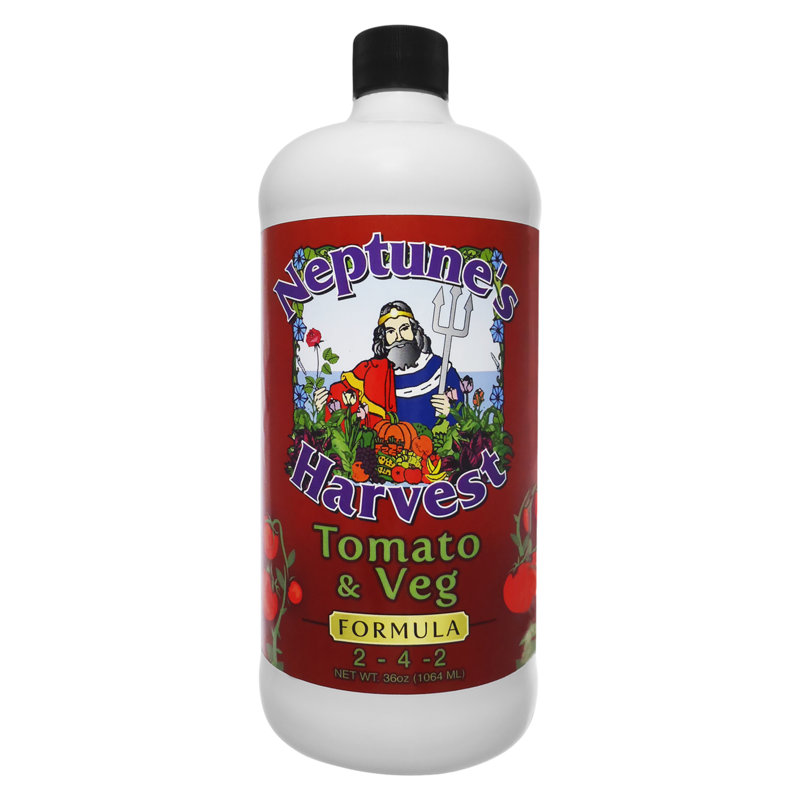 This is a perfect complete fertilizer for your tomatoes, vegetables and more. Made from fresh fish, seaweed, molasses, yucca extract and humic acids, this formula was uniquely designed for plants with intense growth or “vegging” stages. Growers using our “Tomato & Veg” have seen increased stalk/stem mass resulting in higher yields. In addition, Tomato & Veg provides necessary nutrients to keep your plants vigorous with strong root zones and lush foliage, increasing its tolerance to various diseases, temperature and drought. For best results: Tomato & Veg Formula should be used in combination with Rose & Flowering Formula as described below.